Or do you find it difficult to find good quality clothes that flatter your figure and suit your lifestyle or you feel overwhelmed with the sheer volume of clothes you own? If you are stuck in a style rut of not knowing what goes with what, and why that top you loved on the hanger never sees the light of day because it just doesn’t look right, then join Kilver Court Designer Village and Professional Stylist, Lindsay Punch, for an exclusive masterclass on ‘How to Build a Capsule Wardrobe’ on Thursday 16th May from 10am. 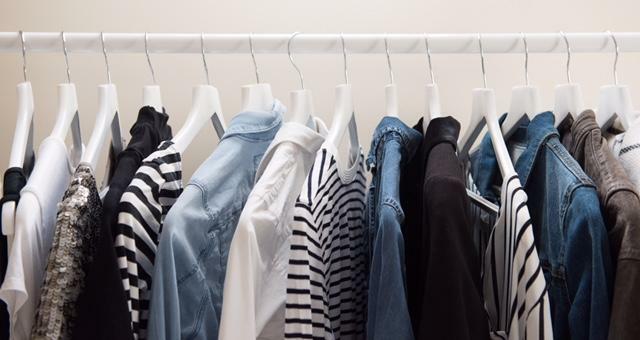 This masterclass is designed to help you make good decisions when shopping for clothes or weaning your wardrobe, with a “less is more” approach to help you feel better about who you are. Created by Mulberry founder, and English designer Roger Saul, Kilver Court Designer Village is an independent retail outlet destination featuring an extensive and constantly updated edit of the best in fashion, interiors and lifestyle and recently won ‘National Shopping Centre of the Year’ in the Drapers 2018 Awards. Lindsay will be pulling from Kilver Court’s superb luxury collections with brands such as M.i.h jeans, Joseph, Whistles, L.K. Bennett, and many more, to show you how easy it is to create a capsule wardrobe. There are a limited 15 places available for this style masterclass so you will have access to Lindsay to ask all the style questions you need. Early booking is recommended.